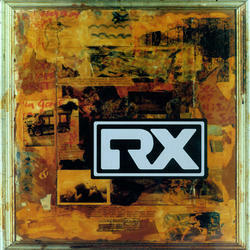 This is their 1995 Virgin label debut produced by long time Neil Young collaborator David Briggs. Thank You was recorded almost completely live in the studio and Briggs' production and influence is readily apparent in this grimy piece of rock'n'roll. Neil Hagerty's guitar playing is wandering into noiseland via unique and memorable solos but also transforming into something resembling '70s riffs while Jennifer Herrema outdoes herself and actually sings. Thank You, giving way to some surprisingly catchy tunes, is as good as modern rock classics go. A great, greasy work of non-commercial alternative rock fueled by cigarettes and junk food.